New Delhi: The presence of the new deadly fungus Candida auris (or C.auris) has not been detected in clinical practice in India yet. IANS reports that an NYT report recently showed that over the last five years, C.auris has hit a neonatal unit in Venezuela, swept through a hospital in Spain, forced a prestigious British medical centre to shut down its intensive care unit, and taken root in India, Pakistan and South Africa. It has also spread to the US. Patients who have low immunity are at higher risk of contracting this infection because the fungus can penetrate into their body and go into the blood. “People have various types of fungus in their body and also in surroundings. C.auris is also a type of fungus. It can cause candidiasis (a fungal infection) in humans,” Sahni added. “When this infection becomes invasive, which means that when it enters the bloodstream, it can affect the internal organs of the body.” “Hospitals invariably have patients with low immunity, so the prevalence of this infection will be more in hospitals. Also, hospital-acquired infection is a well-established entity everywhere in the world and not just limited to India,” Sahni said. C.auris was first discovered in 2009. It is an emerging fungus that presents a serious global health threat, according to the US Centers for Disease Control and Prevention (CDC). 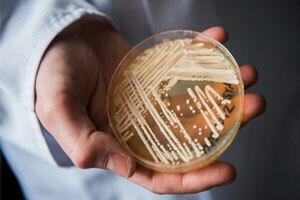 It is often multidrug-resistant, difficult to identify with standard laboratory methods, and it can be misidentified in labs without specific technology. “Keeping the wound clean, washing hands before seeing patients, prescribing rational antibiotic therapy and regular antiseptic practices should be enforced in ICUs and wards, especially where low-immunity patients like transplant recipients, are present,” Sahni added. Change your experts Sir! Or do better research! This article and many articles talk about the auris menace in India! INDRAPRASTHA , DEVENRDA RISTHA…..APPLO, SPUTNIK, VIKING…. DOESN\’T REPRESENT BHARAT / HINDUSTAN, IT MAY ATTRACT LESS THAN 00.0001 % OF PAPULATION OF INDIAN POPULATION. IS THERE ANY THING LIKE CDC , ATLANTA USA, IN INDIA ? ??. WHO CAN ATHENTICATE THE VALIDITY OF THE INFECTIVE DISEASES OF INDIA- INCLUDING PENDING .